he BSP has two members in Madhya Pradesh's 230-member Assembly, while in Rajasthan her party has six seats in the House of 200 MLAs. Lucknow: The new year may not bode well for the Congress-led governments in Rajasthan and Madhya Pradesh. Putting the Congress-led governments in these two states on notice, BSP chief Mayawati has said she might have to “reconsider” her party’s outside support to the newly-formed governments if cases against “innocent” people framed in Bharat Bandh on April 2 were not withdrawn. 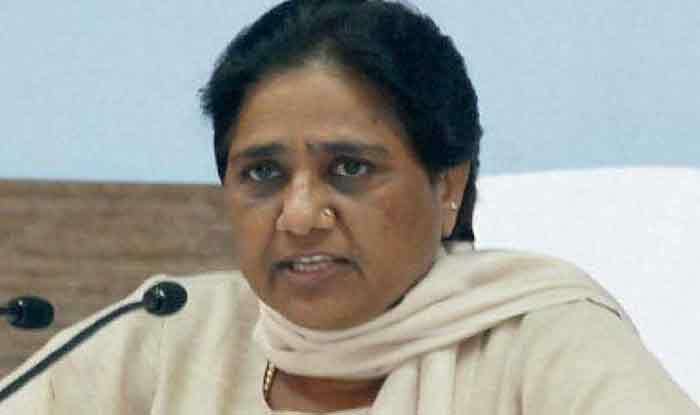 “If the newly-elected governments in Madhya Pradesh and Rajasthan do not act swiftly and withdraw the cases against the innocent persons framed in Bharat Bandh, the BSP may have to reconsider extending the outside support to the Congress governments,” she said in a press release on Monday. Mayawati said the cases against innocent people were framed out of political and caste considerations in Uttar Pradesh and other BJP-ruled states. It must be noted that the BJP had its government in both MP and Rajasthan too. She said now that MP and Rajasthan were ruled by the Congress, the new governments should immediately withdraw such cases, failing which her party would have to reconsider its decision of extending outside support. The BSP has two members in Madhya Pradesh’s 230-member Assembly, while in Rajasthan her party has six seats in the House of 200 MLAs. The BSP extended outside support to the Congress to form governments in these two states as the latter had failed to reach the majority on its own. Mayawati also said the governments formed by the Congress in Madhya Pradesh, Chhattisgarh and Rajasthan should not work like the BJP which did not fulfil its promises made to the farmers and the unemployed. “The warning to the Congress is necessary, as now merely making announcements is not enough. People are of the view that in making promises on papers, the Congress and the BJP are two sides of the same coin. Now, it depends on the Congress whether it is able to change this perception,” she said in the statement. She said had the Centre given up its “stubborn” behaviour pertaining to the triple talaq bill, 2018, and sent it to the joint select committee of Parliament as demanded by the entire Opposition, it would have been better. The BSP chief said in the past five years, there has been non-fulfilment of promises, and by showing dreams of ‘achche din’, demonetisation and GST have been implemented in an immature manner.